SIS USA sells high quality ergonomic furniture with applications in office, health care, and education markets. Their furniture encourages better health and increased productivity by adjusting for individual comfort preferences, and adapting to individual learning and working styles. 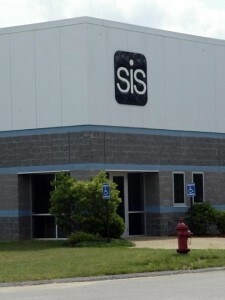 SIS-USA, Inc., located in Londonderry, New Hampshire, is a wholly owned subsidiary of the Midform Holding Company located in Denmark. It markets several lines of ergonomic adjustable height furniture including tables, workstations and accessories for the electronic working environment as well as several lines of ergonomic furniture that is especially conducive to learning for the educational environment. Known as a worldwide pioneer in adapting educational furniture to individuals’ unique learning styles. The ultimate flexibility of the furniture they manufacture contributes to meeting the needs of every student and teacher. This Londonderry company is located in a vibrant and expanding industrial area south of the Manchester-Boston Regional Airport. SIS-USA, founded originally as Human Factor Technologies, has been manufacturing and marketing Scandinavian designed and inspired office, health care, and educational furniture in the U.S. since the early 1980s. In 2003 SIS-USA inc. moved their corporate offices to 55 Wentworth Avenue. Contact them at (603) 432-4495. For more information on SIS-USA inc check out their website.